One of this city’s brightest diamonds has shone bright for a few decades. In her latest offering; ‘Jawbreaker’, Dawn exudes passion with experience. They say practice makes perfect yet musicians are all aware, perfection is as unattainable as The Holy Grail. Perfection is the hunger which, more times than not – sustains a career. In ‘JawBreaker’, Tyler comes close with a little help from her friends. On the first track, ‘Can’t Nobody’, the beacon to the shore of a grounded habited island, guitar great Paul DesLauriers lends a pick. The Rock tune heavily infused with Bluesy- soul, opens the senses and dictates this will not be ‘ just another Blues record’. DesLauriers, the seasoned veteran – lays the juice on and off. A perfect combination – a perfect fit to Tyler’s schizophrenic ability to power through or seduce with her voice. Montrealer Patrick Lehman lends his voice for the first time on the disc and yes, JawBreaker is about to be something juicy to bite into. Patrick Lehman, the Juno nominated ‘Soul brother from another mother’, makes another appearance on ‘Shine On’. Whatever energy DesLauriers brought in the opener, Lehman and Watson counter with a Gospel -inspired influence. Lehman and Watson dueling in an R&B cage. Grounding the sound and creating diversity. Another Jawbreaker straight from the church. The cornerstone of Soul. ‘A Little Bit More’ makes us comfortable. Watson – the singer we all know, appears with a ballad. Sultry, no nonsense. Dawn’s true self reflects off of Ben Racine’s shadow. The entire soul searching experience framed nicely by ‘Little Frankie Thiffault’s saxophone. The tune will make your heart melt. “Son of a Gun’ jolts the wispiness away. DesLauriers returns and duels with Racine in a Rock n’ Roll Boogie Woogie high calibre fashion. Combing Berry- type riffs with Watson’s easy vocals. No rocket science here but ‘a rocket ‘ to balance JawBreaker. A missile to the good old days of Bill Haley and The Comets. ‘Tootsie Roll Blues’ is a return to the roots. Upright bass, harmonica and a smoke-filled Jazz club in a basement. Guy Belanger (Harp) and Morgan Moore (Bass) creating an atmosphere to forget troubled times. A tune to dismiss blues while wading firmly through the Blues. Dawn-Tyler is in her element and her ease within the melancholy structure holds a lantern to the underlying darkness within. ‘I Don’t Live Here Anymore’ is the gem. Montreal legend Rob MacDonald adds acoustic and Dimitri Lebel-Alexandre instills pedal steel on a heart-breaking delivery. The opening riff, reminiscent of the 1970 – inspired Country balladry. A ‘Desperado’ type song which enters into Blues -y despair in a fashion which only Tyler could deliver. Watson’s haunting vocals as fresh as a teenager trying to make her break. Watson inspires on this inspirational tune while MacDonald and Alexandre ply their craft brilliantly. Wow! ‘Rotten’ is Watson and the band. It is important to mention ‘ the band’ especially the nimble-fingered John Sadowy on piano and organ. Often, the piano player – the ‘filler’ on stage, is forgotten by the audience and sometimes the singer. Sadowy, throughout JawBreaker is the saving grace. Providing Boogie Woogie, grace and ‘the meat’ to the potato salad of guests. Nicky Estor holds the beat throughout and is a solid metronome providing rolls and fills at the most important moments. Francois Dube, Estor’s better half on Bass, grounding the songwriting and allowing the ‘cats to play’. 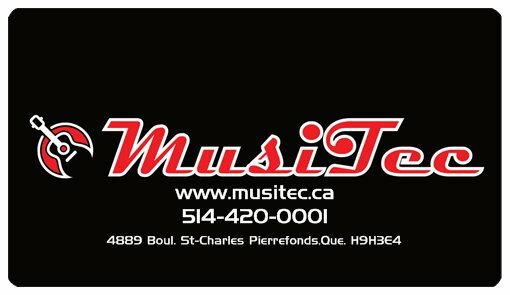 Mathieu ‘Moose’ Mousseau on Baritone Sax – balancing Little Frankie on Tenor. Both players, part of The Ben Racine Band. Racine himself, integral to the complete sound on JawBreaker. As cheesy as the title track may suggest, ‘Smoke Meat’ is the hidden gem on the album. Starting off as ‘ just another song’, suddenly – following the first verse, substance rears it’s beautiful head. Estor and Sadowy setting the Jazzy tone. An intro to a Funky jam which allows all the players to shine. Watson paying homage to Montreal’s number one food delicacy and ironically – a staple of Montreal musicians’ diets. A red-hot song to go with red hot meat! ‘Greenbacks’ and ‘I See’ are R&B and funk fan’s guilty pleasures. Once more the sax is prominent as in any good funk/ R&B tune. The horns on the album providing a feel good mentality and transporting the listener to the days before record companies ruined everything. Foot-tapping type stuff yet compared to most tracks on JawBreaker – more generic and not quite up to Watson’s creative standard. ‘Forever Young’ – the Bob Dylan tune returns the album and Watson to glory. The vocals alone, worthy of several awards. Think KD Lang singing Hallelujah. At times, Watson hitting the spine tingling moments associated with Lang. Just one of those special moments which cannot be defined. Certainly to become a fan favorite on disc and off. ‘It Ain’t Elvis’ returns JawBreaker to generic territory. The album contains thirteen tracks and would have been more suited to ten. Adding similar sounding tracks diminishes the brilliance of the album. Watson is well know and everyone is aware of what she can do. All musicians are solid throughout yet generic can border on boredom within a complete album listening structure. Each generic track great within a playlist including different acts. JawBreaker concludes with ‘Shine On / Rise’. A bookend for the album’s second track ‘Shine On’. Once more – Lehman lends his backing vocals and the song is a tribal chant. An interesting way to end the disc. A statement sung with conviction by Watson and Lehman. A tease which starts to rise and disappears leaving the listener thirsty for more. All in all – JawBreaker is a must buy album. A return of sorts by Dawn – Tyler Watson to the throne of Quebec female singers. Visit Dawn Right Here ! Stay tuned for my Interview with Dawn ! Click to Buy Album ! 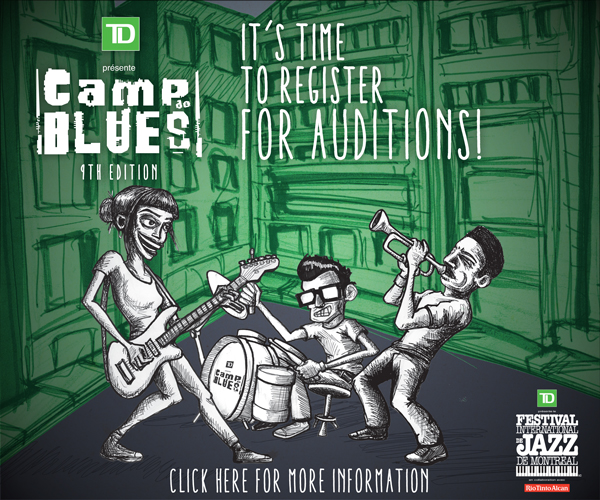 Previous Previous post: Top Ten Signs The Montreal Jazz Festival is Coming ! 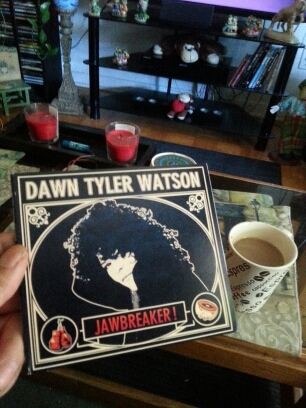 Next Next post: Dawn Tyler Watson – A ‘Jawbreaking’ Interview !